Mantua has seen a reduction in crime rates recently, but this, Wright said, may not be a direct result of the Promise Zone. In 2012, President Obama launched the Byrne Criminal Justice Innovation (BCJI) under the much broader Neighborhood Revitalization Initiative. That September, local organization We Are Mantua! and partners were awarded a BCJI Grant of $600,000, to tackle crime and address safety issues in Mantua. According to The Philadelphia Inquirer, Mantua has a population of 12,956, a poverty rate of 43.2 percent and an unemployment rate of 43.2 percent. Its two biggest neighbors are the University of Pennsylvania and Drexel University. the Avenue Collection, the recently completed first phase of a project by Lennar Urban, includes 74 condos ranging from $800,000 to $4 million. Sales launched in July and by mid-September, more than 60 percent were sold. Lennar already broke ground on the 103-condo second phase. As prices in Manhattan and the outer boroughs climb, Gold Coast towns with strong transit links are increasingly shedding their second-fiddle status. 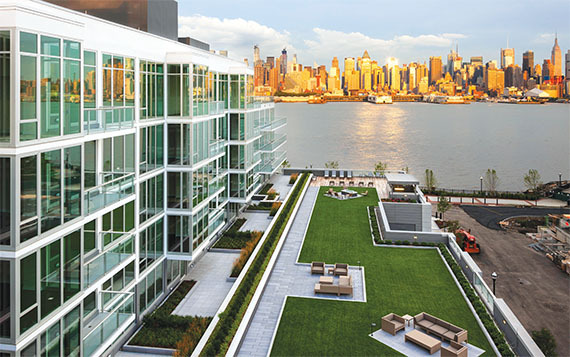 Over the course of the next few years, the towns along the Gold Coast — which include Jersey City, Hoboken, Weehawken, West New York and Edgewater — are expected to add just shy of 9,000 new apartments, riding a wave of demand that has been growing since 2010. This month, The Real Deal compiled a list of more than 30 development projects that are either currently being marketed or will come to market in the next two years (see chart). The data came from municipal records, news reports and TRD sources. Of those projects, 24 are in Jersey City. Weehawken, meanwhile, has four, and Hoboken and Edgewater have three each. At the end of last year, the vacancy rate for multi-family rentals in Hudson County, which covers many of the Gold Coast cities, was 4.7 percent, according to the research firm Reis. That was level with 2012, but a 13 percent drop from 2011. Residential rents have been rising, too. In 2013, the average effective rent in Hudson County was $2,650, up 1.7 percent from the previous year, Reis’ data show. By comparison, average rents in Manhattan climbed 2.1 percent for an annual price of $3,875 in 2013, according to appraisal firm Miller Samuel. In downtown, which includes the waterfront, one-bedrooms go for an average of $2,500. 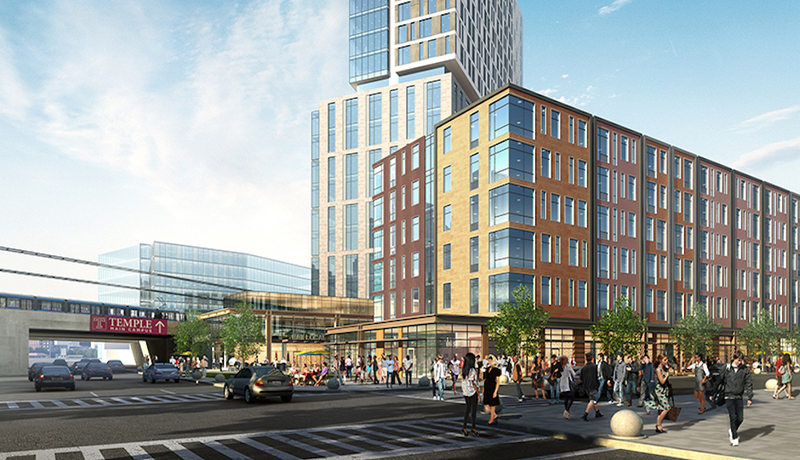 Journal Square rents average $1,450, according to Jersey City brokerage JCity Realty. I live in Edgewater and work in the city. The buildings on this side, like the ones at Port Imperial are beautiful, have tons of amenities, amazing views of the city, and when you want to be there, you can walk over to the ferries and get to midtown or the financial district in under 10 minutes. I've definitely felt that this area has been sitting as an undiscovered gem. I'm not surprised it's finally getting noticed. Will the "Renaissance" speed up Philly's slow growth rate? Numbers show Philadelphia is still growing. But its drop in rank isn't arbitrary: It is symptomatic of a region that continues to struggle with high taxes, a city school system in chaos, and industries that aren't hiring at the rates they did in the region's heydays. Economies elsewhere "are growing more quickly than ours," said David Elesh, an urban sociology professor at Temple University. "Between that and their climate in some cases, they can attract the residents and the retirees." Nevertheless, in 2015 metro Philadelphia grew for a ninth consecutive year - even if, compared with sunnier regions exploding with growth, Philadelphia is merely inching along. In total, the population of the metro area - which includes parts of New Jersey, Delaware, and Maryland - grew by nearly 105,000 residents between 2010 and 2015, bringing it to just above six million. Yet that growth yielded only a 1.6 percent population increase for the metro area. Nationally, the population grew 3.9 percent between 2010 and 2015. "We're encouraged by the continued growth, but we know there is still much work to be done to increase our competitiveness with other metro areas," said Lauren Hitt, spokeswoman for Mayor Kenney. While a drop from the sixth most populous region in 2014 to seventh in 2015 may seem incremental, experts say there's cause for concern: The region's growth was largely fueled by births offsetting others' departures. Although residents have moved out, nearly 50,000 immigrants came to the city of Philadelphia in the same time period - and their numbers, experts said, are what counterbalance other losses, as in other Eastern cities. "What's keeping us from declining, for the most part, is immigration from abroad," said James W. Hughes, dean of the Edward J. Bloustein School of Planning and Public Policy at Rutgers University. Thursday's rankings come as the city of Philadelphia has been experiencing something of a renaissance, becoming what locals, developers, and officials have dubbed as a trendy destination for millennials. 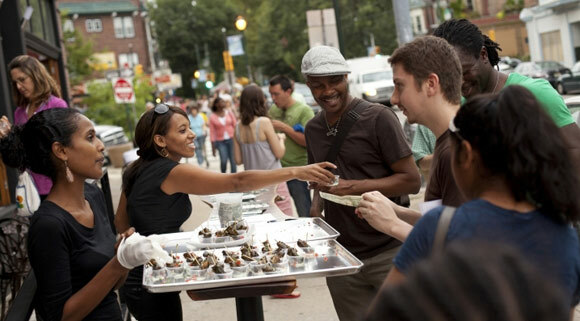 The experts say they see evidence of a cultural revitalization in Philadelphia. Neighborhoods that were once depressed have undergone gentrification, attracting new housing and new residents. 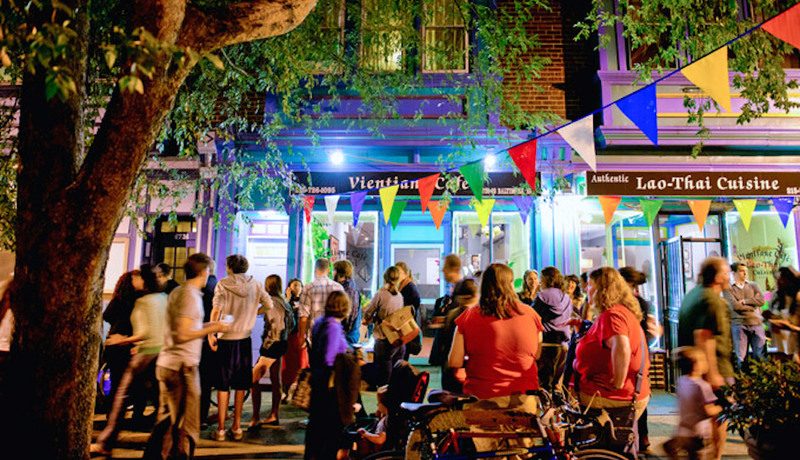 Erstwhile working-class neighborhoods in Fishtown and South Philadelphia have sprouted wine bars and coffee shops, yoga studios and trendy restaurants. Fleeing to Fairhill and beyond? The Fairhill neighborhood — which is somewhat contentiously known as the Badlands — is far from seeing the early signs of gentrification. But as a neighbor to Kensington, community leaders say they can feel the changing tides. Fairhill has become a catchment for gentrifying neighborhoods just south, according to Maria Gonzalez of HACE. Their latest community survey revealed that rentership has increased by 13 percent (861 new renters) in the last five years. As it stands, Fairhill is 57 percent renters compared with 43 percent homeowners. Where are they coming? “From North Liberties, from Kensington, they’re migrating north,” Gonzalez said, though HACE did not have data to verify the exact percentage. Of course, the increased rentership in neighborhoods on the edge of gentrification in Fairhill could be stemming from multiple factors. Data on the trend in these areas is scarce. And for those at risk, the well-known signs of gentrification are an easy target. Conventional wisdom has always been that homeowners are better for a community. They are less transient, and have both a physical and economic investment in their neighborhood’s wellbeing. And while new studies suggest that Philadelphia’s renters are just as civically engaged as homeowners, Gonzalez feels there’s a fine line. So HACE is busy educating her community about the need to buy homes. HACE offers housing counseling and credit repair services for those who are concerned they might not be eligible. Because while Hernandez’s family rents partially because of their immigration status, many families in Philly’s lowest-income neighborhoods like Fairhill have trouble qualifying for mortgages for a whole different set of reasons. Like so many undocumented immigrants from Latin America, Hernandez and her family went to “El Norte” both out of survival and in search of new opportunity. Whether those people moving out of gentrifying neighborhoods in Philadelphia are looking for new opportunity, or simply economic survival, it may be too early to tell. UPDATE (4/29/2016): The Zoning Board of Adjustment heard the case on Wednesday, but decided to hold the vote for two weeks at the request of Councilwoman Jannie Blackwell, according to SHCA’s Zoning Chair Barry Grossbach. We’ll post an update next month. After months of discussions and re-considerations in Spruce Hill, the proposal to build a four-story mixed-use building on the site of the former Transition to Independent Living Center building at the southeast corner of 46th and Spruce St. (4534-36 Spruce St.), has received support from the Spruce Hill Community Association’s (SHCA) zoning committee ahead of its consideration by the Zoning Board of Adjustment (ZBA) this Wednesday. The project developers presented an updated proposal for the 21-unit building with ground-floor retail and a rooftop deck during an SHCA zoning meeting earlier this month. SHCA’s Zoning Chair Barry Grossbach wrote in an email addressed to SHCA members today that the Spruce Hill zoning committee has voted “without dissent” to support the project – with some stipulations. “We reached agreement with the developers/owners of the project on a Memorandum of Understanding that will be made part of the record and will spell out future meetings with Spruce Hill and near neighbors on final design elements, building operations (roof deck), and construction and post construction schedules (covering such items as hours, trash pickups, retail delivery, etc). In short, we are supporting moving the project forward with the understanding that the community will be a party to future discussions on items of importance to area residents,” the email reads. Plans to build a four-story apartment building to replace the burned-out, single-floor building on the corner of 46th and Spruce drew concerns about parking and the flurry of new nearby apartment building construction last night during a meeting of the Spruce Hill Community Association (SHCA) zoning committee. The proposed brick and metal panel building at 4534-36 Spruce St. would include 21 mostly two-bedroom apartments, ground-floor retail and a rooftop deck. The developers need a variance from the Zoning Board of Adjustment to get to the building’s proposed height – 44 feet. A 2011 fire gutted the current structure, a transitional housing facility. The building has been vacant since the fire. Parking was the biggest concern at last night’s meeting. The proposal does not include on-site parking, and nearby residents are concerned that this building along with the new 40-unit apartment building at 46th and Walnut, and the 15-unit building built between two Victorian twins on the 200 block of S. 45th Street will make finding a spot exceedingly difficult. “I’ve watched my parking decrease, decrease, decrease,” said one resident. Gentrification at the old Philly High School, 4700 Walnut St.
website describes the project at 4700 Walnut as a “gut rehabilitation,” and states construction will commence in 2017. After nearly two years of back and forth, the Philadelphia School District and City Council are all but ready to sell the former site of West Philadelphia High School, closed in 2011. The buyer is Brooklyn-based developer Andrew Bank of Strong Place Partners. Bank hopes to create a mixed-use loft apartment complex at the site on the corner of 47th and Walnut streets, serving an estimated 250 residents with an average price of $800-850 per one-bedroom apartment. On May 30, City Councilwoman Jannie Blackwell convened a forum at Lea Elementary School for community members living in the area bounded by 45th and 50th streets and Market and Spruce streets to address Bank with their concerns about the building and additional changes to the neighborhood's zoning policies. As Bank stated that young residents at the beginning of their careers, associated with nearby Drexel University and the University of Pennsylvania, would be the target demographic for the residence, the forum sparked a conversation about gentrification in the West Philadelphia neighborhood at the edge of University City's expanding borders. "Gentrification in Philadelphia is really problematic," said one long-time resident of the neighborhood, who wished to remain anonymous. "It seems like a natural process. I don't really know what can be done about it." Some community members welcomed the new apartments into the neighborhood, claiming that the influx of residents studying and working at the universities would help lower crime. "With more foot traffic in the neighborhood, I think crime will go down," said Alfonso, a 26-year resident of the neighborhood. "Plus, the building's an eyesore as it is right now. No one's cleaned up the trash or the shrubbery since they closed the school and the area is poorly lit." "I look at Baltimore Avenue now and I see so many different kinds of people," said Shawn McGeth. "Everyone's living in harmony. But I don't want to see people being pushed out of their homes because of affordability. I wish there was some kind of sliding rent scale for the new apartments." 5.1M Initial Purchase ($11.53 per Sq Ft). This was probably as a down payment subject to many conditions for completion such as re-zoning, permits, etc. Esp since this is considered a historical building, so they will likely be constrained as to how heavy the rehab is. I like the site as it's a full CD-Class site with lots of potential. There are existing apartment buildings next to it and still some available vacant land nearby. 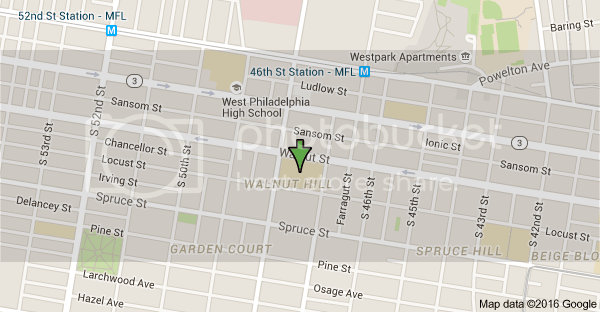 The replacement West Philly High School is only 2 blocks away towards Market. One of the few concerns is whether and how to incorporate parking. Wednesday, July 17, 2013 > that's 3 years ago : are attitudes changing now?? 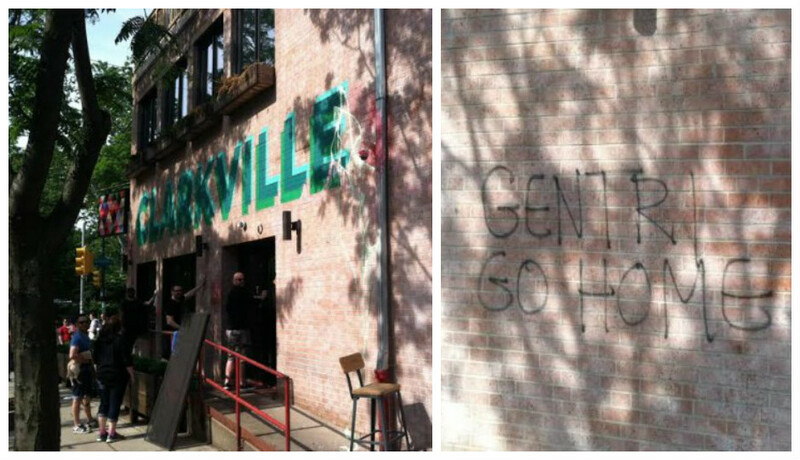 The taggers hit Clarkville at 43rd and Baltimore, a neighborhood that’s transformed in the last 15 years. So, Maida said, it was a morale boost that Clarkville had a busy night last night after she personally spent time buffing paint off the walls. Neighbors apparently came out in droves with words of support. “It’s sad to me that some people don’t get it, but it’s encouraging to know that a lot of people do,” Maida said. Of course, it’s true that the neighborhood around 43rd and Baltimore is pretty well gentrified. Clarkville itself used to be Best House, a bastion of cheap forties and pizza for years. A Pew study released last week found that two nearby neighborhoods in West Philly had experienced gentrification in the last 15 years, and that’s using a pretty rigorous definition. It’s one of only a few areas that has gentrified in Philadelphia, according to Pew, while much more of the city is stuck in deep poverty. A recent report by Pew Charitable Trusts made headlines by showing that gentrification was much rarer than we might imagine. By Pew’s definition, only 15 of Philadelphia’s 372 census tracts gentrified between 2000 and 2014. The city’s racial trends tell the same story. Figure 1 shows the ethnoracial composition of the city’s households according to the Decennial Census. From 2000 to 2010, the city changed from 47.9% White to 42.6%, from 40.3% Black to 41.0%, 3.6% Asian to 5.2%, and 6.4% Hispanic to 9.3%. The overall story of the city is not one of increasing Whiteness. However, gentrification is the story of some neighborhoods. 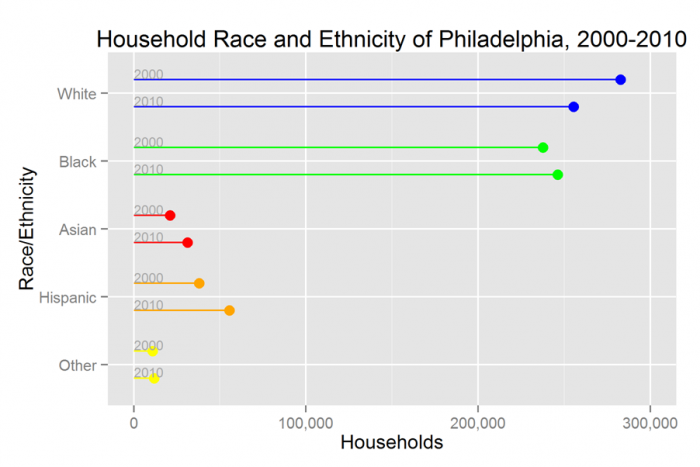 Figure 2 maps the race and ethnicity of University City in West Philadelphia. Blocks are colored as a weighted average of their household races, so that 100% White blocks would be blue, 100% Black blocks green, 100% Asian blocks red and 100% Hispanic blocks orange. A block that was 50% White and 50% Hispanic would be a blue-orange mix, appearing brown. First, notice the extreme segregation; blocks are often all-White or all-Black. The boundary that emerges between the two regions is sharp and well-defined; within the distance of one or two blocks, the households change from all-Black to all-White. Second, notice that the way gentrification occurred is that the boundary moved. Demographics changed only on blocks just along the boundary—we don’t see population change in the middle of the large all-White or all-Black cluster—and on those blocks it changed sharply. Zoomed out, it’s clear that the White cluster to the right has expanded westward, taking over blocks from the Black cluster. 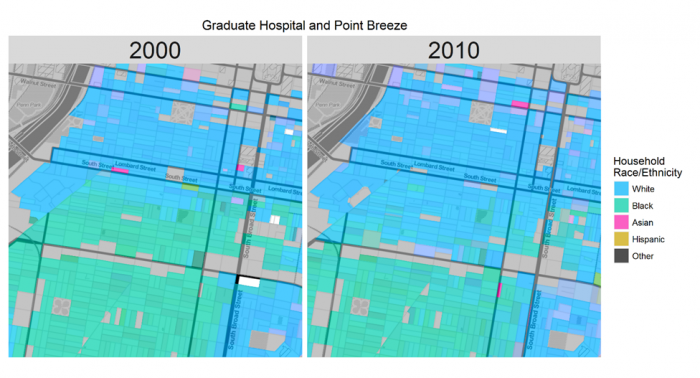 Graduate Hospital, in south Center City, shows the same pattern. In 2000, there was a well-defined boundary between a White and Black cluster that lay just below South Street. As the neighborhood gentrified, it did so by that line moving south to Washington Avenue, with sharp changes in the blocks that the boundary passed over. The Fairmount neighborhood, another noted center of gentrification, also had a boundary that moved. In 2000, the Black cluster extended south of Girard Avenue, by 2010 the boundary had moved north to reach that business strip. A walk through the neighborhood will exhibit that the boundary has now passed even farther to the north. To paraphrase Hannibal Smith, we love it when a plan comes together. In this case, we're referring to the 30th Street Station District Plan, released last week. This plan, as you might imagine, details a vision for 30th Street Station and its surrounding neighborhood over the coming decades. If everything set out in the plan actually comes to pass, this area is poised to experience an incredible transformation, the likes of which Philadelphia has never seen before. Starting with the station itself, it's expected that ridership will more than double in the next twenty-five yearsr. 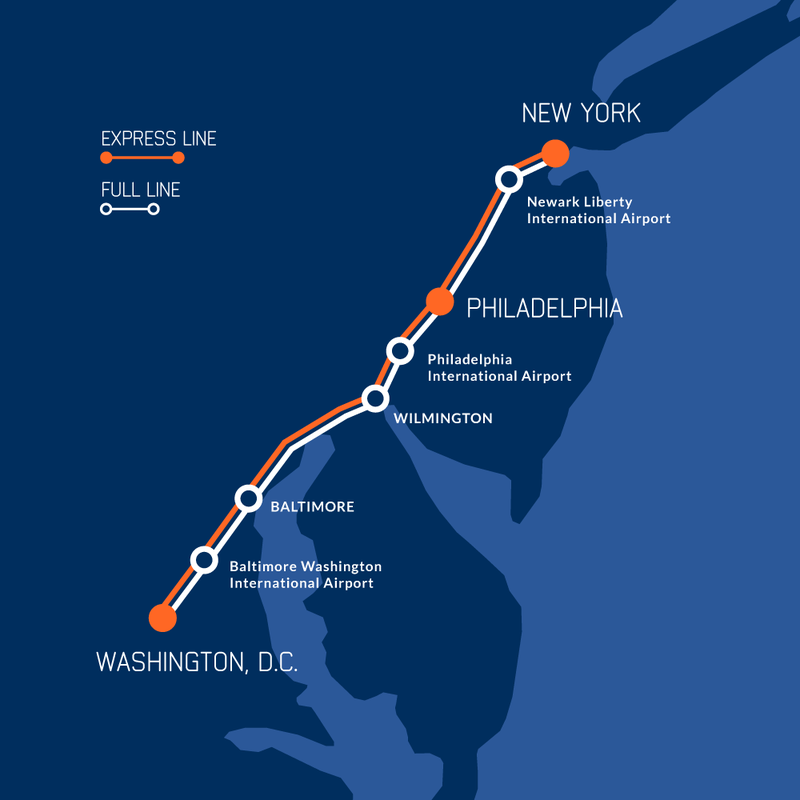 With that in mind, the plan calls for a number of improvements, including the reopening of the North Concourse for increased Amtrak service, the activation of the East Septa Mezzanine to increase Regional Rail service, improvement of the retail offerings in the station, and reopening the underground passageway that connects the station to the Market Frankford Line. A new bus terminal on Arch Street will thankfully make better sense of the chaotic bus to rail connections at 30th Street Station. Around the station, look for an expanded and improved Porch and a "West Bank" river trail that will hopefully get a new name by the time it actually happens. ... includes the area in Philadelphia bounded by Catharine Street on the north, the Septa Regional Rail right of way and Willows Avenue on the south, 50th Street on the east, and 53rd Street on the west. This area lies along the Baltimore Avenue commercial corridor. Avenue between 50th and 53rd Streets and the primarily residential blocks that surround it. The major impetus for this plan is the adoption of the University Southwest District Plan by the Philadelphia City Planning Commission on June 11th 2013. In this district plan are several goals and objectives for the study area. The majority of implementable improvements focus on continuing the revitalization of Baltimore Avenue west past 50th Street, eliminating excess road space to provide a better pedestrian experience, and changes in zoning to reflect the current community’s needs and vision for its future. The overall goal of the 51st and Baltimore Avenue Redevelopment Plan is to provide a framework for current and future redevelopment proposals. Clear planning policies for land use, zoning, and capital program investment will permit the full commercial and institutional development potential of the study area to be realized. - to eliminate the blighting influences of vacancy and undesirable land use along Baltimore Avenue and the surrounding residential blocks by encouraging reinvestment and redevelopment. - to support the rezoning of legacy industrial and commercial parcels along Baltimore Avenue, and the surrounding blocks to uses better suited to the changing needs of the community. - to improve the pedestrian experience along Baltimore Avenue by beautifying and enhancing the public realm. Our products have been in this little gem for a year now. 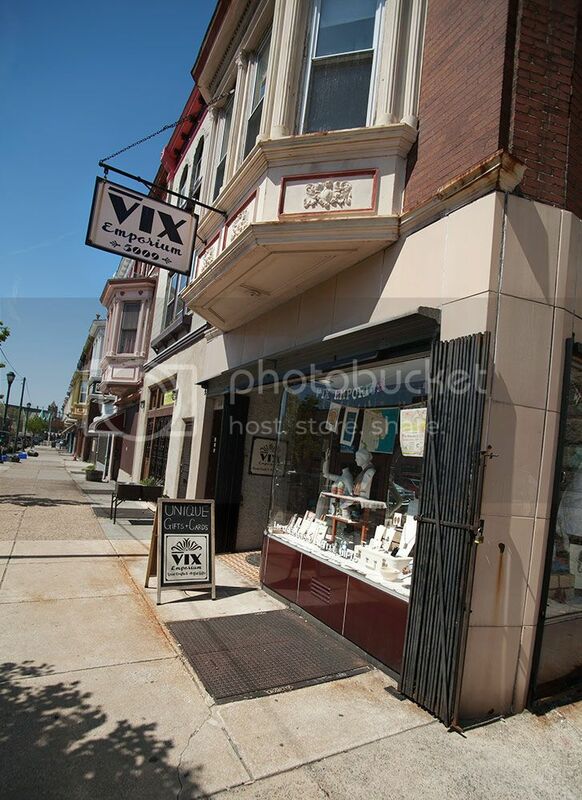 VIX Emporium is in a really pretty part of West Philly right on Baltimore Ave. 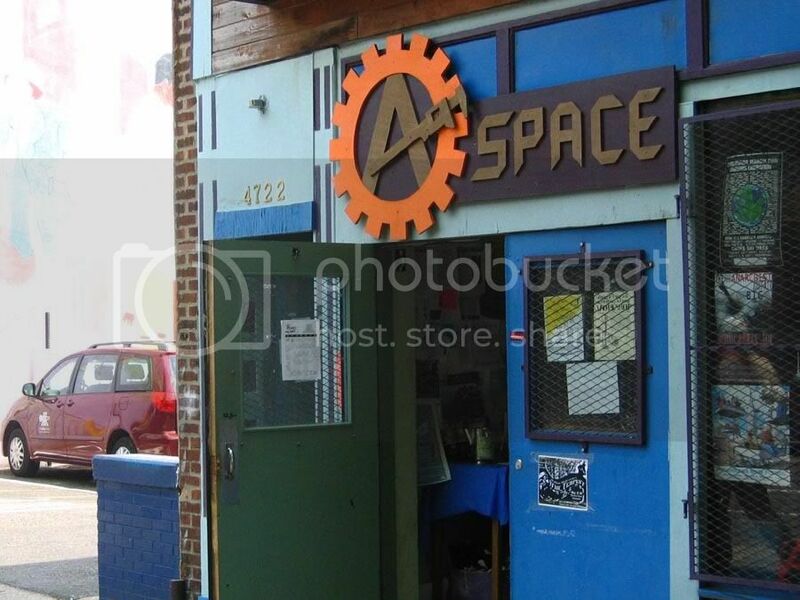 It's located in Cedar Park, which is part of University City section of West Philadelphia. The name "VIX" is actually the roman numeral for their address, 5009. Clever. The owner, Emily, is super sweet and her shop is perfectly curated with local artists and other indie makers. 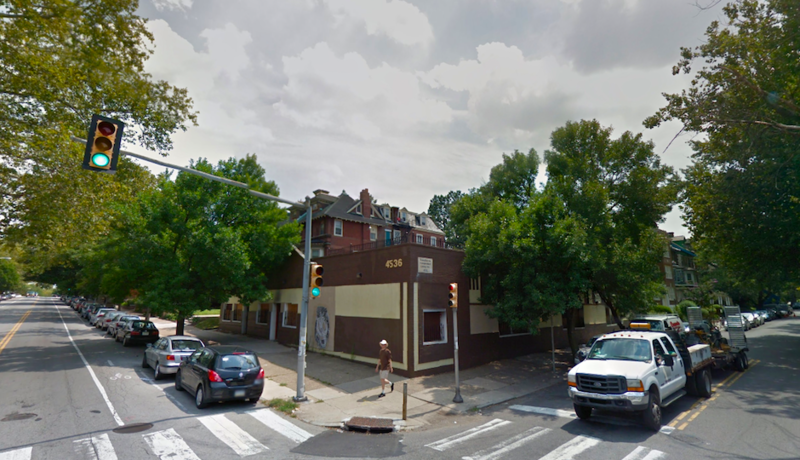 Another apartment building is University Plaza, formerly the Ivan, at 47th and Baltimore. Re: Philly 2035 Plan is helping to transform Philadelphia - It's huge! Some Readers may not yet be aware of the Philadelphia 2035 Plan. "To put things into perspective in just how massive the 30th Street Station District’s draft plan is: Burnham Place would be 14 acres; Millennium Park is 24 acres; Hudson Yards, the largest private real estate development in New York City’s history, is 26. The draft plan for 30th Street Station would cover somewhere between 50 and 70 of the 88 acres of rail infrastructure north of the station." "Millennium Park cost $495 million. Burnham Place is estimated at $1.5 billion, and Hudson Yards a staggering $20 billion, with nearly $1 billion coming from NYC taxpayers. Schuylkill Yards, which does not involve any capping, projects $3.5 billion in construction costs. Like Burnham Place and Hudson Yards, 30th Street Station’s cap would be paid for mainly by private investors, who would cover its costs in exchange for rights to build huge skyscrapers on top. In order to make financial sense, the expected rents from commercial and residential tenants in the buildings above the yards would need to be extremely high. That wouldn’t just require higher property values in the surrounding area — it would require significantly higher rents across all of the greater Center City and University City area, otherwise firms would locate slightly further away for significantly cheaper. In a previous interview with PlanPhilly, Drexel President John Fry described developing Schuylkill Yards as a first step in proving to investors that covering the rail yard makes financial sense." After spending six years studying the gentrification of Philadelphia neighborhoods, a West Philadelphian has discovered a rare trend: Neighborhoods are not necessarily gentrifying in the way people think they are—they’re resegregating. Recent research by the Pew Charitable Trusts confirms that the type of gentrification or neighborhood change described in Tannen’s work is actually rare. That study found that just 15 of Philadelphia’s 372 census tracts had gentrified over the same ten-year period. A Federal Reserve study, also focused on Philadelphia, indicated that displacement caused by gentrification is even rarer, and that non-gentrifying neighborhoods often lost existing residents even more rapidly than gentrifying areas. Tannen says he thinks his findings are evidence that people are self-segregating, and it’s unclear what policy solutions could address that problem. Cities could start by being more mindful about the kinds of economic development projects they pursue along obvious racial borders, he says, due to their sensitivity to extreme racial change. Ultimately, how cities can best tackle issues as thorny as segregation or displacement will not be solved by a single study. But Tannen’s research does at least answer, in part, why gentrification can feel like a big deal to residents even while it is also relatively uncommon. A long time ago, a feature called "Living In" ran each week in the Real Estate section. The March 1, 1992, installment was about Germantown, which it described as "an original," where "residents take pride in their historic dwellings, their diversity, and their sense of community." How has Germantown changed in the almost quarter-century since then? While the neighborhood's real estate market is better these days, "I would say that the nature of Germantown has not changed that much," says Ruth Feldman, of McCarthy Associates/Weichert Realtors. "The beautiful old houses in the Tulpehocken historic neighborhood are still very much desired by a certain group of buyers who appreciate those homes and their relative affordability as compared to Mount Airy and Chestnut Hill," Feldman says. I'm liking those Transport Links! City Council members have proposed legislation aimed at encouraging development along Philadelphia's public-transportation corridors by giving developers breaks on height limits and parking requirements when they build near transit stops. The TOD Overlay in the code proved unpopular in the extreme. In fact, it’s never once been used, although there are seven currently called for in completed district plans. That’s why councilmembers Blondell Reynolds Brown and William Greenlee introduced a bill this week to reform the TOD Overlay, aiming to simplify the code and offer stronger incentives. The bill is not meant to earmark any specific stations for the TOD overlay, but will provide an easy-to-use framework that district council people can utilize. The measure, introduced by Blondell Reynolds Brown and William Greenlee during Thursday's City Council session, aims to boost population numbers along transit lines in an effort to fight vehicle congestion and aid the environment by increasing ridership, the members said. "Development around transit hubs makes sense," Reynolds Brown said after the bill's introduction. "It's a win-win." The legislation would simplify and streamline an existing ordinance aimed at encouraging so-called transit-oriented development that Reynolds Brown characterized as "not user-friendly," pointing out that it has not been taken advantage of for five years. The new proposal allows for the establishment of Transit-Oriented Development (TOD) Overlay Districts within 500 feet of selected transit stations, within which developers would be permitted to build higher structures with less parking than is otherwise permitted by area zoning. Philadelphia already offers such extra height allowances, known as "density bonuses," to developers who include features such as mixed-income housing, public space, and environmentally friendly designs in their plans. The new measure also would prohibit paid parking lots inside TOD Overlay Districts, and in some cases would require new buildings there to have active ground-floor uses, such as retail, among other provisions. 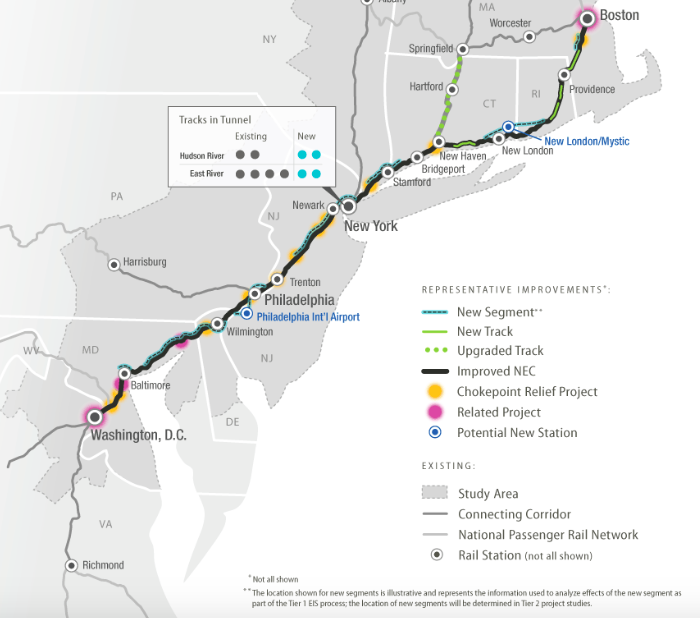 The most natural locations for such zones would be around stations along the Broad Street Line and underground portions of the Market-Frankford Line, which offer the most ground-level space to develop, said Erick Guerra, an assistant professor at the University of Pennsylvania School of Design, who focuses on transportation and land-use issues. But he said the prescribed size of the districts would limit the scale of anything built there. "Five hundred feet isn't very far, so it's a pretty targeted program," Guerra said. Less than 200 feet from the 60th Street station on the Market-Frankford line is a vacant parcel filled with cars and a fenced-off former service station, but soon enough it could be a multi-story mixed-use development. As PlanPhilly’s Kellie Patrick Gates reported last January, the Planning Commission released a study of West Market Street that encourages concentrating mixed-use development near the five El stops that were redone between 1999-2009. During that decade of construction, this stretch of Market Street was hit hard by disruptions to pedestrian and car traffic, businesses suffered, and vacancy climbed. Now it’s time to fill in the gaps and help bolster what remains. Among the first action items to emerge from that plan is the "New West Transit-Oriented Development" (New West TOD) at 59th and Market streets. This week the Philadelphia Redevelopment Authority (PRA) released a Request for Proposals for the 1.5-acre property at 59th and Market owned by the City and SEPTA. Developers may consider a public plaza along Market Street and are encouraged to include sustainable design features. Curiously on-site parking may also be considered by developers, but the RFP warns that parking "should be limited given the transit-oriented advantages of the parcel." On-site parking is objectionable to transit-oriented development purists, given that it undermines this key advantage. BTW, Trump went to Wharton, and must know the University West area well. He has also spoken about his desire to improve jobs and urban life - I reckon that Philly, and especially West Philly, may be a big beneficiary of his creativity and desire to rebuild and improve the working and living environment. Three weeks into the new administration, there is still a cone of silence around President Trump’s infrastructure plan. Will he reward the rural states that supported his candidacy by funneling money to heartland highways? Or will he modernize big-city transit systems, bridges, and airports in the densest part of the country, home base of the reviled coastal elites? A recently leaked list of 50 priority projects suggests, somewhat hopefully, that the answer is a little of both..
Whatever projects his administration chooses, Trump still faces the tricky matter of paying for the promised trillion-dollar plan. He has repeatedly said half the money will come from private investors. But transportation experts are doubtful investors will want to get involved, because only select infrastructure projects, like operating toll roads or bridges, generate revenue. Most projects described as infrastructure improvements are really deferred maintenance, with little potential to turn a profit. Funding for the $4 million overhaul, fancifully renamed Trolley Portal Gardens, was cobbled together from a mix of state, private, and foundation sources. No federal money is being used. And it costs SEPTA nothing. The University City District, which created the Porch at 30th Street Station in 2011, came up with the idea and is handling all the planning. Improving a single station isn’t as transformative as adding a new rail or bus line, but the changes should still be dramatic for the Spruce Hill and Woodland Terrace neighborhoods, which remain residential bastions in an area thick with student housing. Those neighborhoods of elegant Victorian homes grew up around the trolleys, and are even known as streetcar suburbs. But the trolley portal at 40th and Baltimore is oddly divorced from the tree-lined streets that surround it. Little more than a paved expanse with bare-bones waiting areas, it is called the portal because that is where the street-level trolleys go underground, sliding in and out of the tunnel that runs between West Philadelphia and Center City. The district has also contracted with a developer, Ken Weinstein, for the cafe building. He is paying for the structure and has hired Group G to design it. Appropriately enough, Weinstein plans to open there a branch of his Mount Airy Trolley Car Diner. The University City District developed the Porch in phases. As it became a popular spot for commuters and people just passing through, the managers stepped up the amenities, adding food trucks and midday concerts, as well as swings and more planters. The Trolley Portal Gardens will be a full-fledged park and will be constructed all at once. By making these stations more attractive and welcoming, the hope is that more people will use transit. That, in turn, could boost SEPTA's case for more money and new service, if the Trump administration’s promise of new infrastructure funding ever becomes a reality. In a country deeply segregated by race, this uniquely integrated part of West Philadelphia stands out. But that might soon change. Monica Allison moved to West Philadelphia’s Cedar Park in 1997, buying a gorgeous red brick Victorian town house for $67,000. She’d been renting closer to the University of Pennsylvania, but her neighbors repeatedly called the police on her teenage son when he was home alone, just hanging out around the house. Allison, who is African-American, had to rush home from her job as an insurance underwriter time and again to find him handcuffed on the couch. 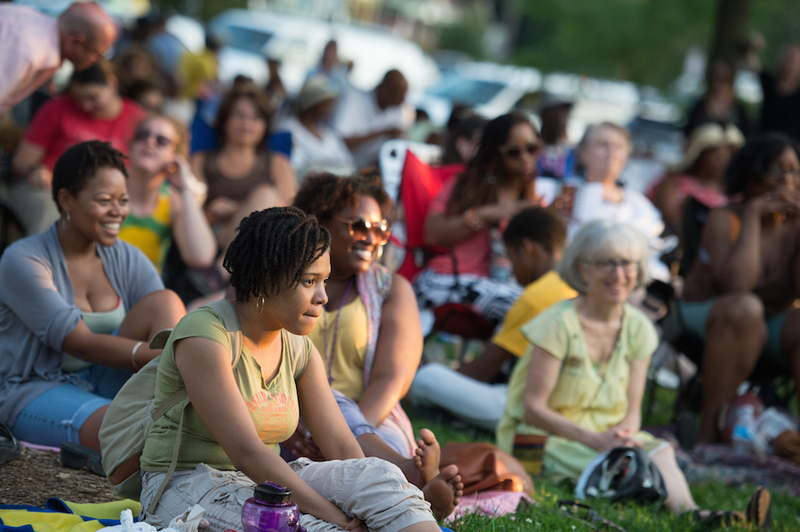 Even today, as the country’s increasing diversity makes racial isolation less common, Cedar Park is a rarity because of its longstanding mixture of black and white households. When Allison moved there, it had been roughly evenly comprised of black and white households since at least 1970, although the white population continued to slowly decline. That remained true even as the neighborhoods to the west, north and south of Cedar Park became more than 95 percent black. But by the end of the 1990s, Cedar Park’s white population plummeted to 27.9 percent as crime spiked and several high-profile murders racked the neighborhood. Today, the neighborhood is rapidly changing once again. Cedar Park is one of the hottest areas in the city, and housing values are spiking dramatically. As of 2010, the neighborhood is majority-white for the first time since 1970, a stunning reversal from the 2000 census that showed the percentage of white residents at an all-time low. In 2014, Allison sold her house for $150,000. 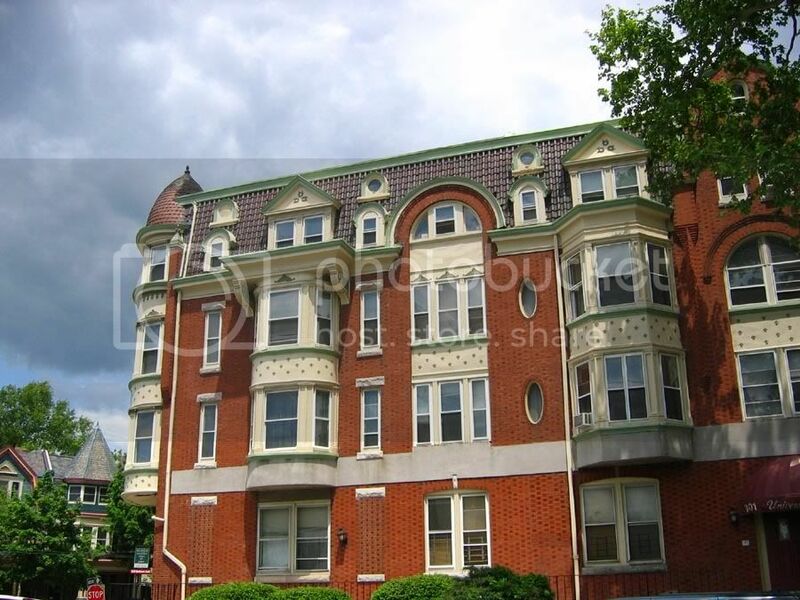 After an investor purchased and rehabbed the property, it sold for $445,000 last year. TODAY, CEDAR PARK IS 52 PERCENT WHITE, 38 percent black, 4 percent those who identify as two or more races, 4 percent Asian, and 2 percent Latino. The neighborhood’s commercial corridor, Baltimore Avenue, looks entirely different than it did 15 years ago. Most vacancies are filled, but many of the businesses that primarily catered to black residents are gone. Between 2000 and 2010, the neighborhood also lost more than 1,000 residents. “I don’t feel like the diversity has caused people to move out,” says Allison, who is 53 and now runs a day care near the city border in the Cobbs Creek neighborhood of West Philly. “The diversity is a reason to stay, but unfortunately finances come with that diversity, so you kind of have to make a choice.” She says that rising property taxes, in addition to her mortgage and the big house’s need for repairs, were part of her decision to move away. A recent study of Chicago neighborhoods found that those most likely to gentrify had at least a robust minority of white households, a floor of 35 percent. Cedar Park only dropped below that floor briefly. At the same time, a dramatic nationwide decline in crime, which began in the mid-1990s, made itself felt. In Cedar Park and its eastern neighbors, the university’s extensive security operation—which stops at 50th Street—bolstered an already robust police presence to drive crime down even further. In many ways, the neighborhood was primed for a spike in white population. This corner of West Philadelphia is stocked with beautiful gingerbread-like Victorian houses, an abundance of leafy trees, and trolley lines that whisk commuters to Center City in 25 minutes. 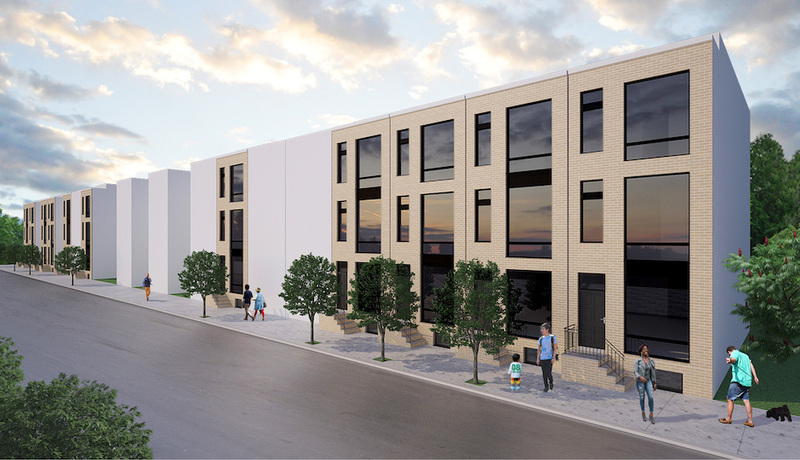 A group of New York real estate investors has been working quietly behind the scenes to assemble land for a project that would be truly transformative for North Philadelphia. As of last Saturday, their project has come out of the shadows.